In today’s Gospel, Jesus announces his mission: to bring salvation to the world. He has been chosen by God to bring glad tidings to the poor, liberty to captives, healing to the sick, and freedom to the oppressed. God the Father sent Jesus, his only Son to save us and Jesus showed us how to love others, especially those who were in need. We are called to continue this mission. His words are a framework for all of us and the Holy Spirit is sent to help us put our faith in action. Our every kindness is a way to serve God’s kingdom. Our compassionate community puts their faith into action every time they share their blessings with the vulnerable people we serve. Their generosity is a reminder of the beauty of shared blessings. 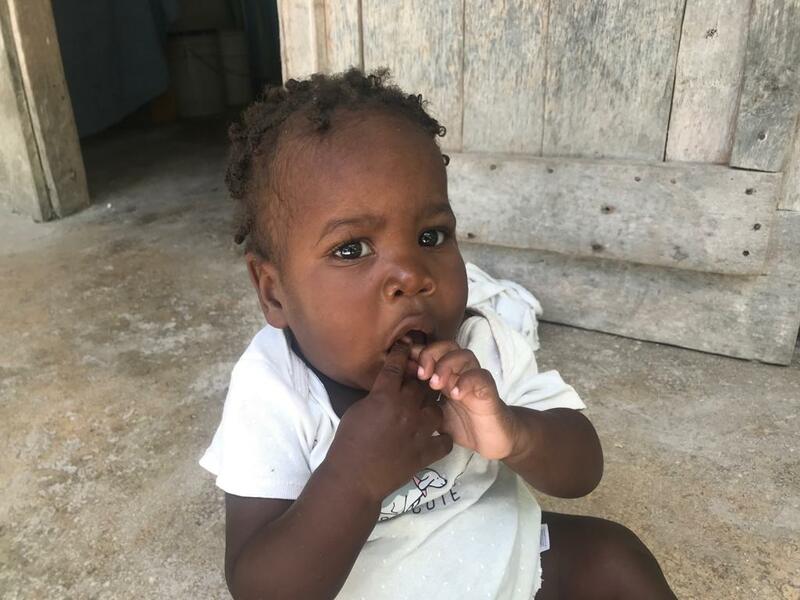 Today, we share the story of how one of our Angel Investors is helping her young children see their role in continuing Jesus’ mission in the world today. She created a family activity to help her children experience the beauty and importance of helping those in need. Tricia had read about the Angel Investor program and decided to share the stories of children living in poverty with her own children. They were so moved when they read about Djethro in Haiti that they decided to act. 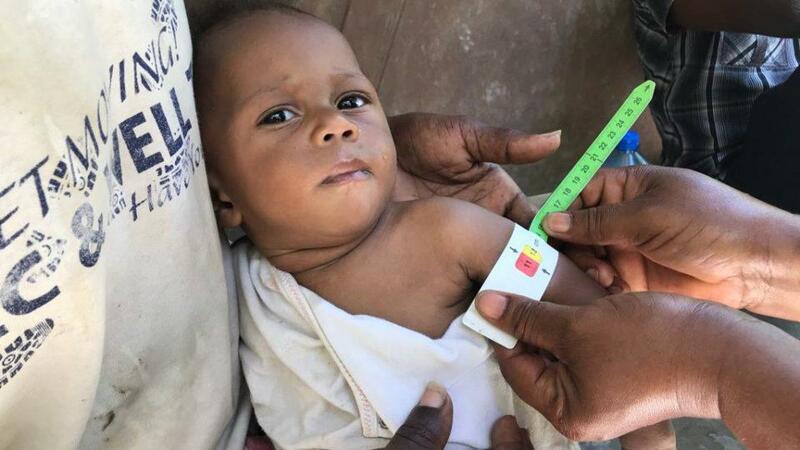 You see, Djethro was only eight-months old and was already showing signs of severe malnutrition. He was very weak, his hair was brittle and turning red, and he didn’t even have energy to cry. Djethro’s mother has a intellectual disability and his father is often too sick to work. Djethro’s father was doing his best to support his family but most days, they only ate one meal. 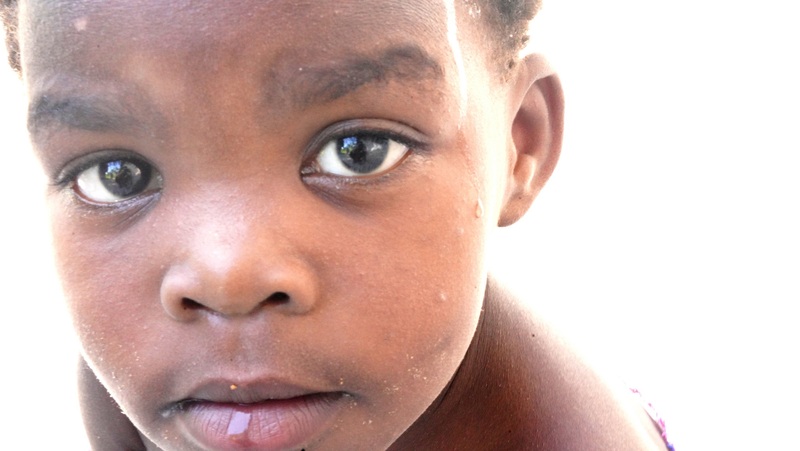 For a young child, the implications of malnutrition can be devastating and irreversible. 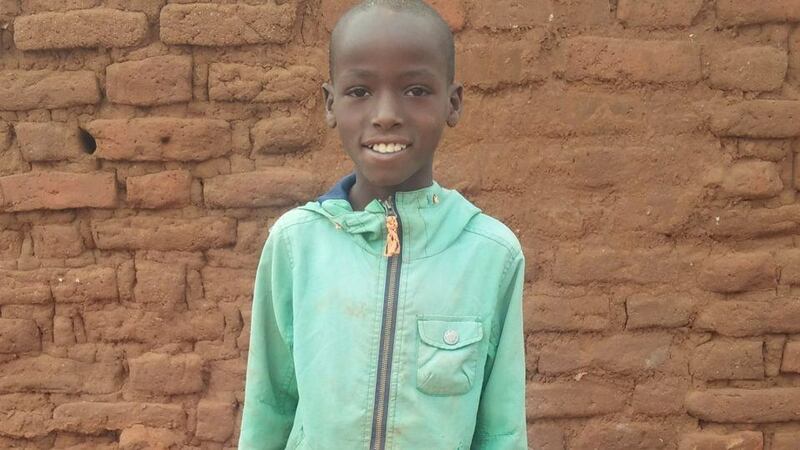 Djethro urgently needed support to ensure that he had enough to eat and a chance at a healthy life. That was where Tricia and her family stepped in. 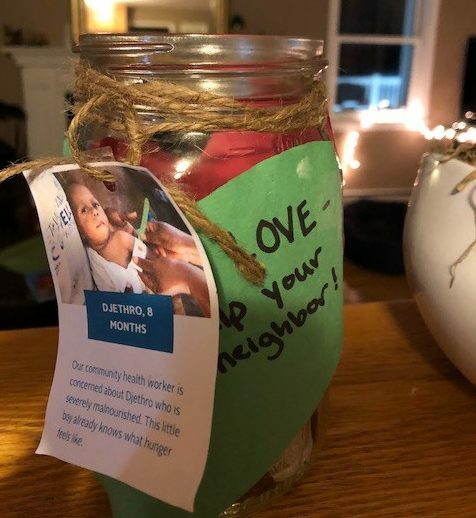 They decorated a jar with a photo of baby Djethro and began to save money. We have been given the gift of the Holy Spirit to help us respond to the needs of the world today. Let us pray that we find ways to serve others however we can, in Jesus’ name.